Alyssa here from My Thoughts Exactly! Are you all ready for some Tuesday inspiration?! Today I have a simple little Easter card for you. When I was designing this card I thought, who needs patterned paper when you have twine as beautiful as Trendy Twine to jazz up your projects? So I kept the card simple and let the twine shine! It's Jamie here to share a super cute Bunny Card I made with the new Chocolate Cupcake Twine. I colored this cute little digi stamp and then took the Chocolate Cupcake Twine and weaved it to look like a basket. I just love how it turned out! 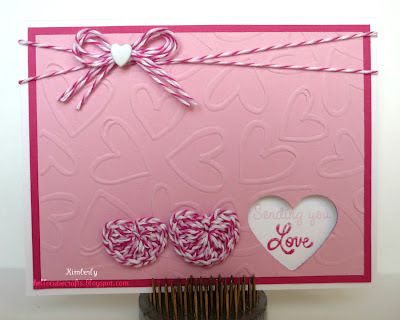 For complete details on how I made my card please visit my blog. Now on to our next Trendy Twine Tuesday designer, Kasi! Hi, Kasi here. My project for today was inspired by something I love...reading! Yes, I am a book nerd. I got a Kindle last year but sometimes I still pick up a "real" book and read. The last time I did that I realized that I was using scraps of paper I found floating around the house rather than using an actual bookmark to mark my page. Yea, I've made bookmarks before but hello, *duh* to Kasi, I just didn't even think to make myself one. I used the Chocolate Cupcake twine for the tassels. 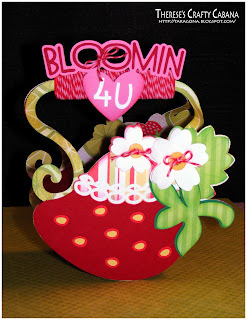 For more on these cute little bookmarks visit my blog. 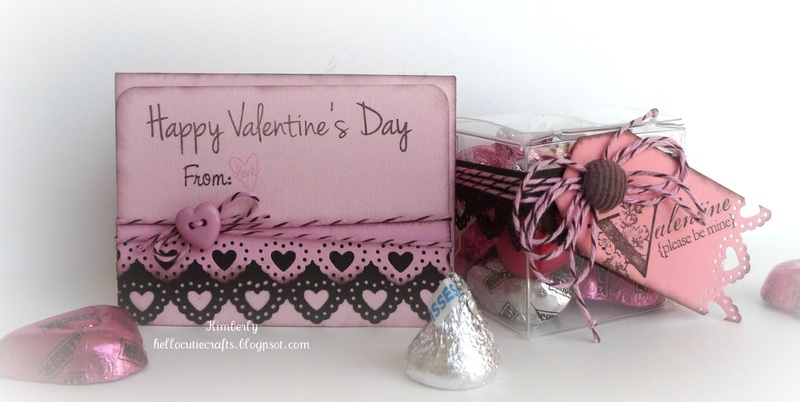 Stacey made a little gift box to hold some Valentine candies. Adorable! Perfect for kids, since it looks like a crayon box. 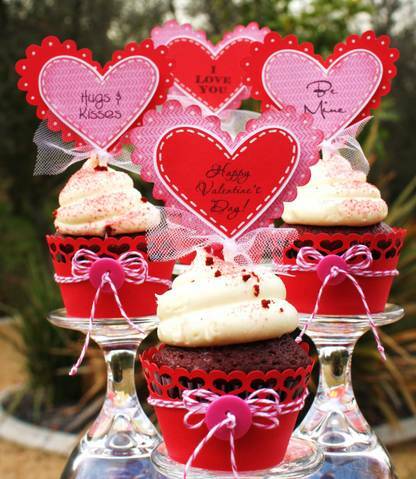 Look how perfect that Chocolate Cupcake Twine goes with the Kraft card stock! Make sure to check out her Blog to see all the details on how to make this little gift and to leave a little love. Kimberly made a cute Valentine gift set for her son to give to his classroom aide. 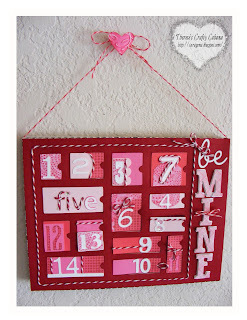 What a really fun project and great for so many things!! Make sure to check out her blog for all the details and to give her some love! 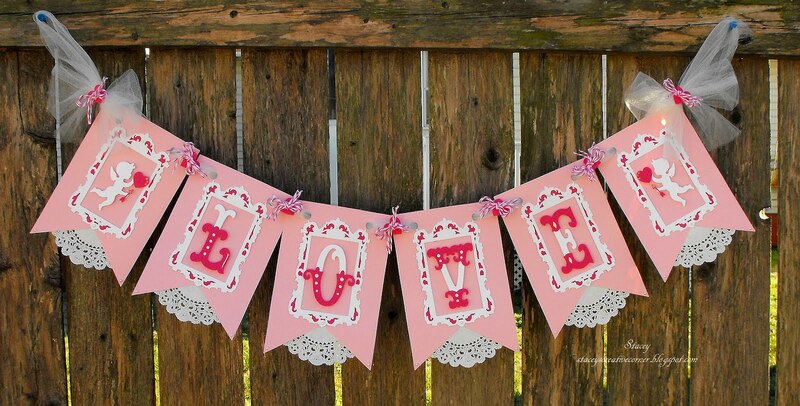 and she did this beautiful love banner. Don't you just love the doilies? the twine to connect them all? So pretty... and functional too. 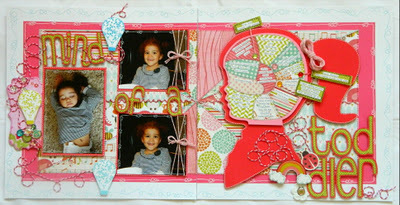 We also have Therese with Therese's Crafty Cabana. And how super sweet is she to make two projects?! That is just so over-the-top. She used Peppermint Stick and Cherry Cupcake. all the time. So why not for Valentine's Day, too? Don't you just love the way she used the twine? Strawberry Teapot Bag. Love that twine handle! and leave them some love, too. for guesting for Trendy Twine. the time to do this for us. Are you ready for some great Trendy Twine Design Team Inspiration? Aren't these cupcakes and their embellishments amazing? 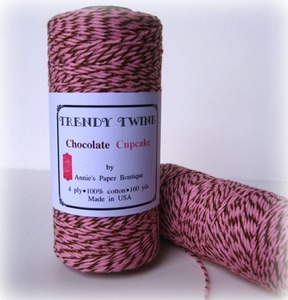 Look at all that amazing Strawberry Cupcake Twine! What a great addition to this cute owl! Wow! Some Trendy Twine Crocheted Hearts on a card!! 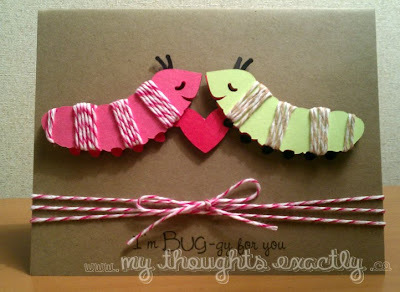 Strawberry Cupcake Trendy Twine makes the perfect stripes for this adorable little caterpillar! Thanks so much for stopping by and we hope you were inspired! There is NO Challenge this month. please share them on our Facebook Page! First, we have Jennie from EarthyScraps. the Trendy Twine Valentine Mini Pack. 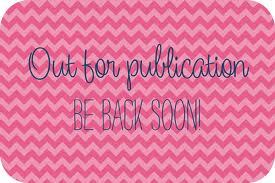 Make sure to stop by Jennie's Blog to leave her some love! Becki made this adorable candy bar holder. 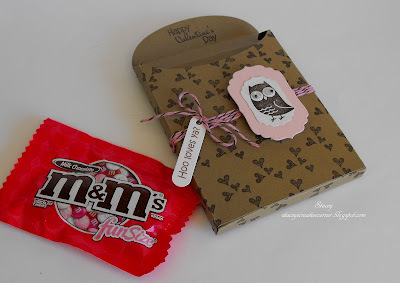 What a great idea for Valentine's Day. from the ValenTwine mini set. her giveaway.... and it's not twine.